New reproduction 79-81 Parking lights replace your worn or damaged units. 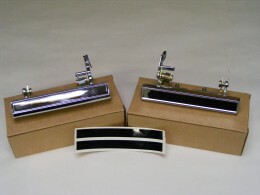 Sold as a PAIR for use on all 79-81 Firebird Trans Am models. Sets include lens and base.